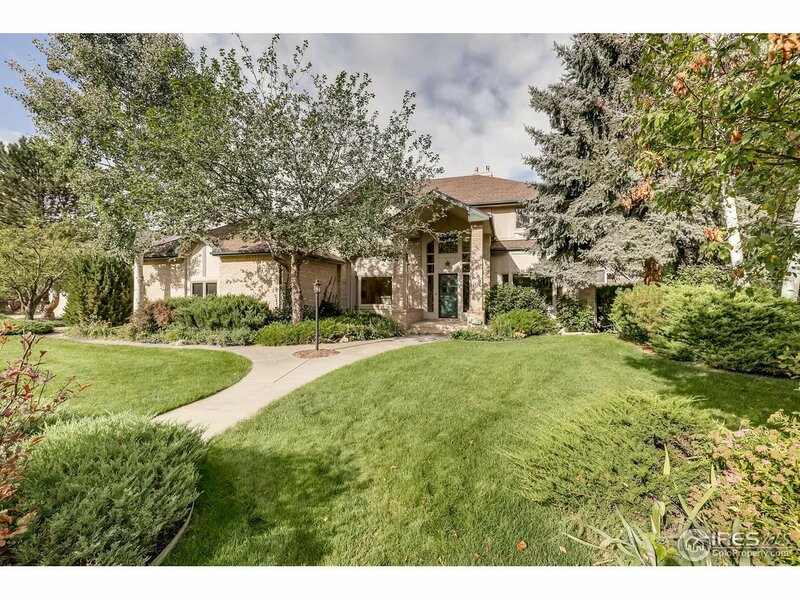 Live the Colorado dream in this comfortable, light-filled, elegant home. Amazing Mountain Views! Versatile floorplan, open kitchen/Great Room, soaring ceilings. Wonderful upstairs 4-BR layout, Master BR offers west-facing deck, remodeled bath w/high end finishes. Main floor office, family room, dining room, inviting covered back patio. Granite counters in kitchen. Spacious garden level rec. room, BR/bath. Huge 3-car garage & tons of storage. Quiet location. N&apos;hood pool/tennis/playground.